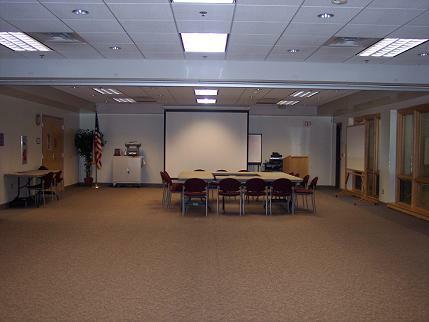 The Holmes County District Public Library provides meeting room facilities for library-related activities and community organizations engaged in educational, cultural, intellectual and charitable activities. 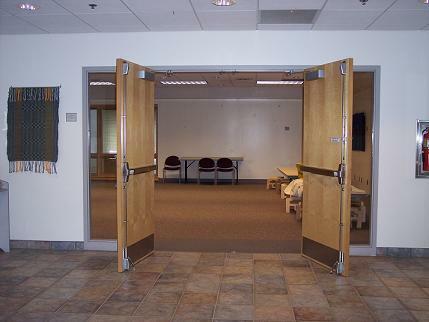 Maximum capacity for the combined room space is 100 occupants, or 50 occupants per side (Room A or B). 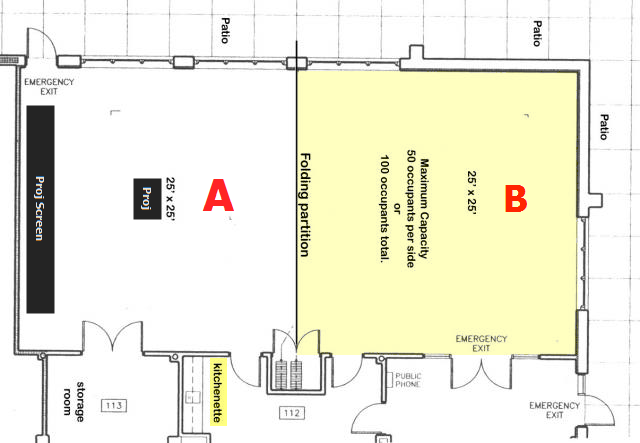 10 tables (6 ft long x 2.5 ft. wide), 95 padded chairs (plus an additional 40 folding chairs), 2 adjustable-height tables (8ft. long x 3 ft. wide), 30 children’s stools, Lecture podium, LCD projector (Patron must provide their own laptop. Apple products not compatible), 8ft. x 8ft screen, Dry erase board (4 ft. x 6 ft.), Kitchenette. 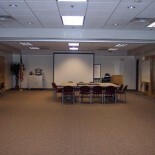 Meeting Room A has a projection screen available for use. 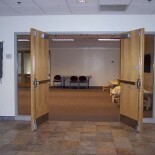 Meeting Room B is accessible though double doors. 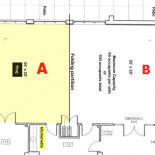 Both Rooms A and B have access to the kitchenette. 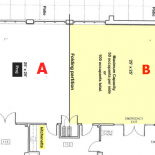 Please be sure and specify on your request which Room you would like.